A home suitable for here, or outer space. In truth, this is either a very old photo, a very well restored one, or someone has created a modern reconstruction of one. Why? Because they werent made of the best possible material, and of the few still surviving now, most arent in a good condition, let alone almost mint condition, like this one! Yes, I’d love to live in one, at least for a short time, just because they look amazing, and fine, look just like a UFO. Not coincidence in the design, given the name, I’m sure? I suspect that to do so, I’d either need to find a very reconditioned one (maybe like this one is? ), or get someone to customize me one from scratch! I know, I havent got any money, so I either need to get someone to buy me one, or even better, get a friendly alien to deliver a proper flying saucer for me to live in! So please, if someone has one suitable, even as an overnight stay, I’d love to do it. And yes, I would wear silver in there, believe me! Or one that appeals to me far more, as a jazzed up version of said song. 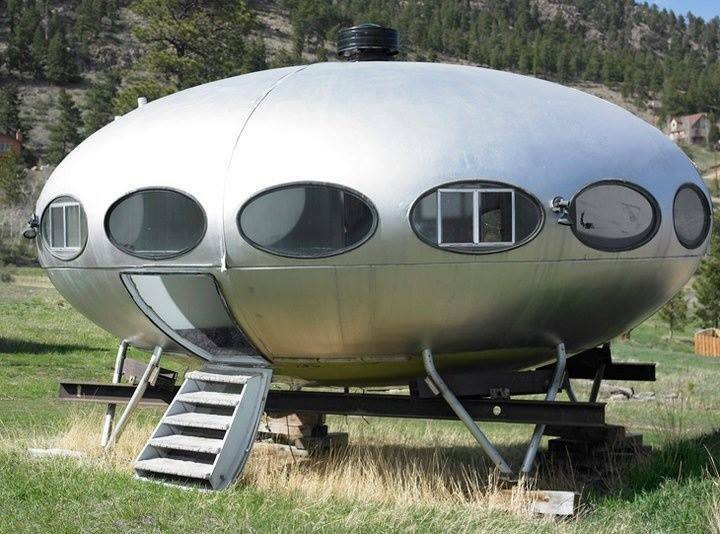 Author stevielounicksPosted on May 31, 2016 Categories Aliens, Bonzo Dog Doo Dah Band, Futuro Home, Neil Innes, silver bodysuit, Silver clothing, Space travel, SpaceshipsLeave a comment on A home suitable for here, or outer space.